Apr 2 2019. Kirk Chantraine photos. Vancouver is one of the stops featured in Todd Barry: The Crowd Work Tour. For comedy fans, Todd Barry‘s new concert special is of special interest for two reasons. One, the show is from a tour in which Barry’s set relied solely on improved interactions with the audience. Two, it’s being made available by Louis CK on his website, rather than the traditional channels (a cable network or Netflix, say). And all for a measly five bucks – or one penny more than the cost of U2’s The Unforgettable Fire, as Barry recently posted. 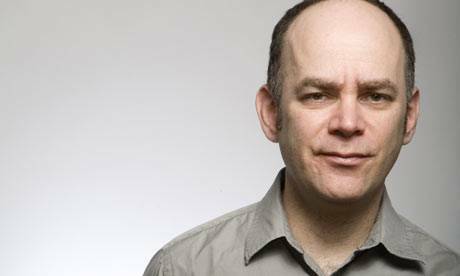 For comedy fans in the West Coast cities where the special was shot, of course, Todd Barry: The Crowd Work Tour comes with an additional point of interest, i.e. seeing their cities (and some of its denizens) through Barry’s eyes, however briefly. The set starts in San Diego and ends in Anchorage; along the way, Barry and his two-to-three man crew (he seems to travel with a friend/driver and director Lance Bangs) stop also in L.A., San Francisco, Portland, Seattle and Vancouver. The barbs come quickly to Barry, who is always sure to follow-up with whomever he’s engaging to let them know that it’s all in good fun. To get the most out of the interactions, a microphone is passed to the audience members with whom Barry engages. In Portland, this almost backfires when the set is hijacked by a woman who starts declaiming about fresh eggs from urban chickens. The comic makes the most of T-shirts (in San Diego, someone’s Black Flag T-shirt gets the comedian started on aging punk rock bands), names and people’s occupations/hobbies/hobbies-they-wish-were-occupations. By far, though, it’s the latter that provide the most fodder. In L.A., he zeroes in on a two guys who play in a rock band called Avant Abstract. “My business cards are in that font,” he says, upon learning their name. And when he finds out they’re an instrumental group: “It’s worse than I thought,” he says in his deadpan delivery. In Seattle, Barry strikes comic gold when he encounters a digital marketer for a “dry soda” company who’s about to quit his job because of the long hours he has to spend tweeting about the company’s products. In Vancouver – at the Biltmore Cabaret – Barry engages with an actor who will be auditioning (the following day) for a Lifetime Channel movie-of-the-week called June in January. In Anchorage, he meets a pipefitter who works 12 hour days seven days a week. “I only have to do this for 45 minutes a night and I don’t like it,” Barry quips. Although The Crowd Work Tour special does occasionally get a little uncomfortable (you sometimes have to feel a little bad for some of the participants, no matter how much Barry tries to leaven his shots), it’s a pretty solid hour of laughs. And it’s only five bucks – a bargain since, if you like Todd Barry, you probably already have a copy of The Unforgettable Fire. Order Todd Barry: The Crowd Work Tour at buylouisck.net. Vancouver Sun reporter, SFU instructor, editor/publisher of The Snipe News. 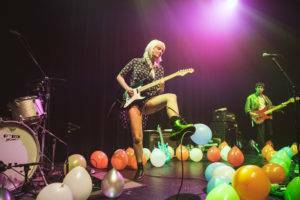 This entry was posted in Homepage Features, reviews and tagged Biltmore Cabaret, comedy, Todd Barry. Bookmark the permalink. I paid my $5, watched half, shut it off. The funny stuff must be in the second half.